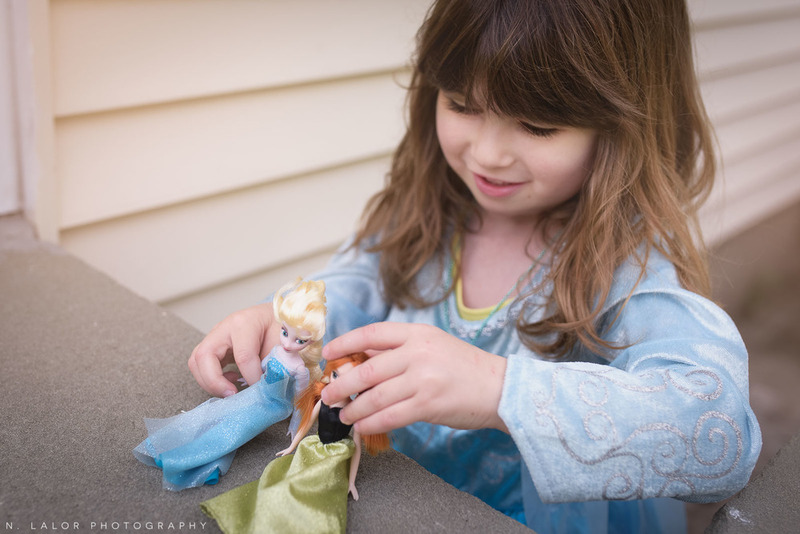 N. Lalor Photography’s Being Elsa mini sessions focus on exploring the magic and personality of girls playing dress-up. 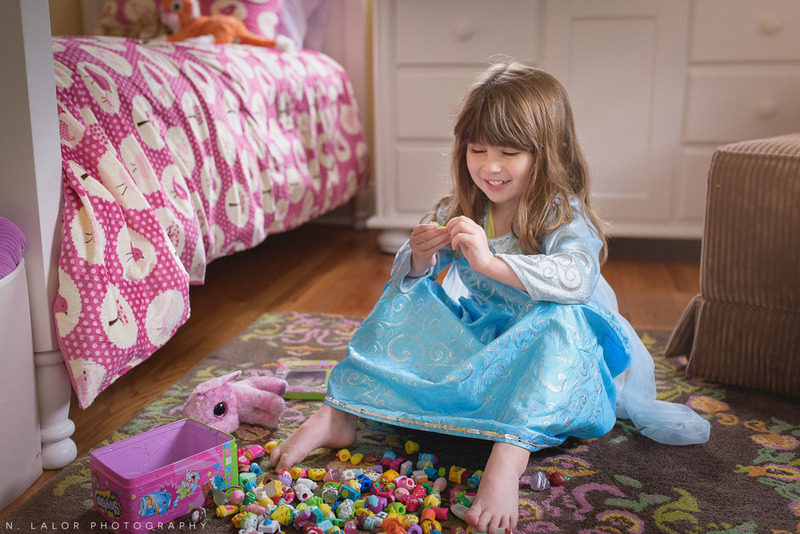 Favorite activities: Playing make-believe, setting up jewelry stores, putting jewelry on her stuffed animals (she loves cats! 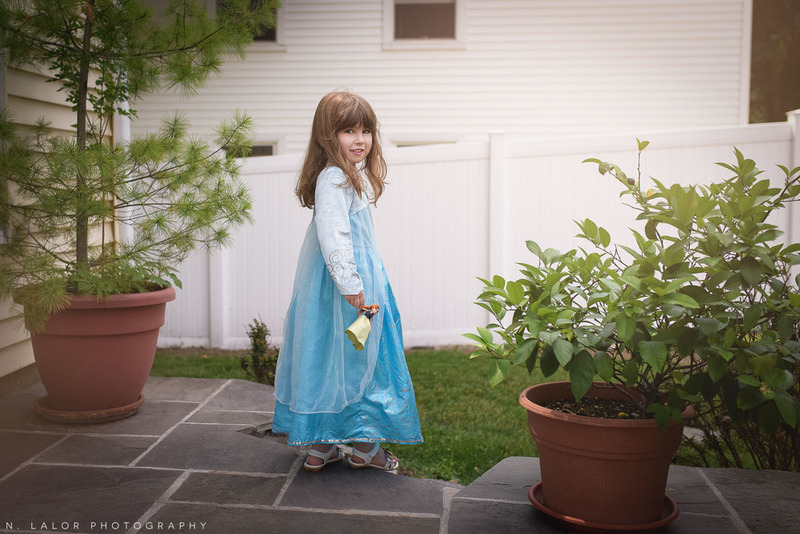 ), being outside, playing with her princess dolls, and wearing crowns and dressing up. 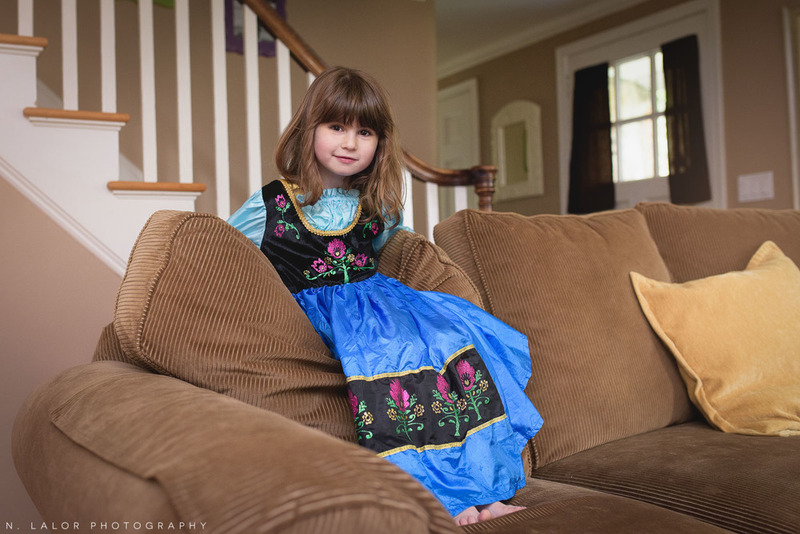 Why she loves to dress up as Elsa: Daisy loves that Elsa is magical and can create ice wherever she wants.